Create your dream life with simple actions. You wake up in the morning with purpose. You stay in your bed for as long as you want, knowing everything is taken care of. When you want, you rise out of bed to greet the day, expecting everything to go well. You don’t do this out of blind optimism, but instead a deep understanding of how the universe works. You don’t just hope for it. You’ve deeply ingrained it into your way of being. As each step of your morning routine locks into place, you feel a greater sense of momentum and ease. You feel mastery over your life. You remember back to when life seemed so chaotic, and yet that seems like a distant thought. Now, as you ponder this new day, your decisions feel supported by the universe. You can’t help but feel lighthearted and appreciative. You’re beaming. Why wouldn’t you be? Everything is simply ordered. Everything is playfully in your control. Life feels fresh and invigorating, and the universe is working for you. But, is it this simple? You’ve checked out books on the law of attraction or “The Secret,” but you’ve had some trouble understanding it and applying it. It seems confusing and illogical. Some things come easily and others seem frustratingly distant. There’s so much conflicting information. That’s why I’ve broken it down into 5 easy habits. You don’t need to spend all your time on this. 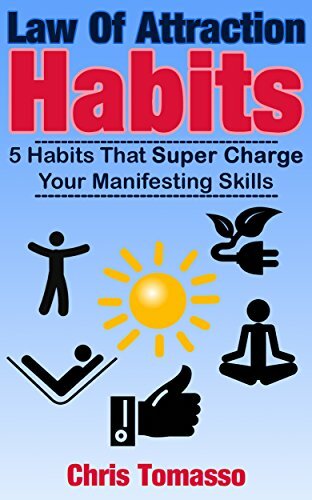 In just 10 minutes a day, this book will help your manifesting skills skyrocket. Create more ease in your life. Learn how to clear your mind in just 10, 5, or even 2 minutes. Understand the key missing step to becoming emotionally healthy. Let go of thoughts that aren’t serving you. Feel appreciation that isn’t forced. Design a routine that simply prepares you for vibrational success. Manifesting your dream life is first and foremost about getting the little things right. Click to get your copy today.